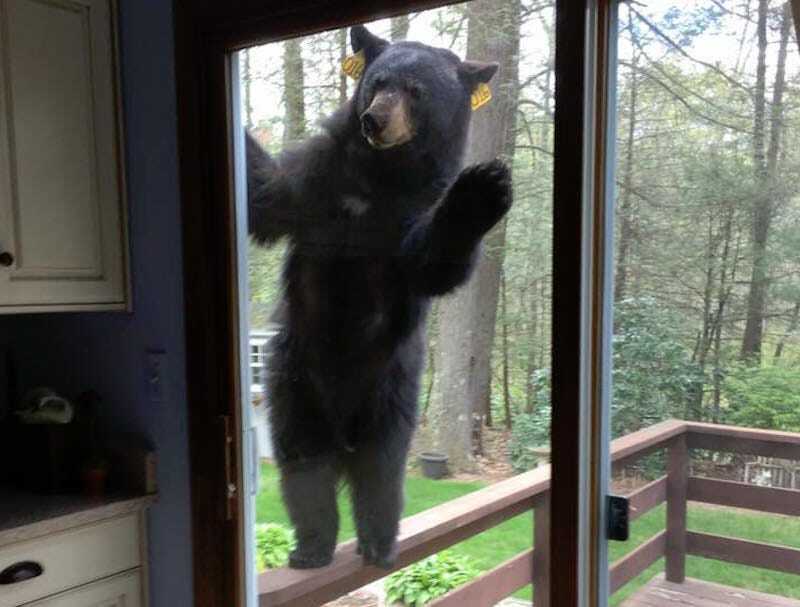 According to local Hartford, Conn., news anchor Dennis House, this picture was sent to him by an Avon resident named Bob Belfiore, whose neighbor was confronted by a hungry black bear while she was making brownies. Bear wanted those damn brownies. Can ya blame him??!? !